Essentially, GEM brings to the PC and other computers a user environment from the family of Macintosh and earlier software products that ran on the Xerox Star. 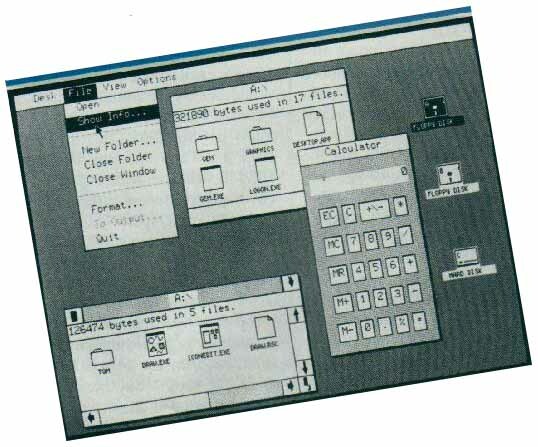 Held up as the great non-IBM hope in the user interface arena (1985). GEM is extremely small, roughly 100K, and it allows only one task to run at a time. GEM uses icons as well as text to get messages across.